Abhishek Bachchan signed for Priydarshan's Bachchan Singh? Home Actors Abhishek Bachchan signed for Priydarshan’s Bachchan Singh? 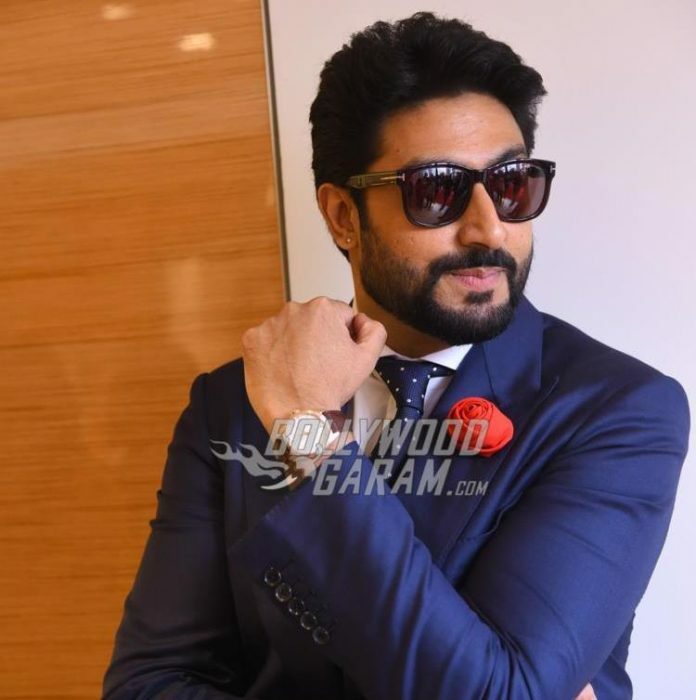 Abhishek Bachchan signed for Priydarshan’s Bachchan Singh? Abhishek Bachchan managed to make the audience laugh in the earlier movie Bol Bachchan and now the actor is ready to be back with the upcoming movie Bachchan Singh helmed by Priyadarshan. Abhishek had impressed the audience with his double role in Bol Bachchan which was directed by Rohit Shetty. Reports say that the actor has been roped in the play the lead role of Bachchan Singh. The movie will be produced by Sunil Shetty and Rajat Rawail. Apart from Bachchan Singh, Abhishek has a number of projects in hand. The actor will be seen in the upcoming project by Nishikant Kamat and is yet to be titled. Abhishek has also been roped in for the upcoming flick Lefty by Prabhu Deva and will be seen playing the role of a left-handed character. The Refugee actor will also be co-producing Lefty with Bunty Walia and will be shot in Hyderabad. Going by the above projects, Abhishek surely has a busy 2017. The actor was last seen in Housefull 3 which did an above average business at the box office. Abhishek was also appreciated by the critics for his performance. Housefull 3 also starred Akshay Kumar, Riteish Deshmukh, Boman Irani and Chunky Pandey. The Kuch Naa Kaho actor was seen doing some amazing rapping in the Sajid Nadiadwala flick. There were reports that the actor has also signed a movie with producer Ronnie Screwvala which will be directed by a debutant. Abhishek’s latest movie as the singe lead was All Is Well which failed at the box office. The actor in his earlier career has given some great performances in the movies like Guru, Raavan, Yuva, Zameen, Dhoom, Sarkar, Bluffmaster, Dostana and others. Jr. Bachchan made his debut in Bollywood with the movie Refugee opposite actress Kareena Kapoor. Bachchan Singh is expected to release later this year or early 2018. Previous articleAdel Sajan and Sana Khan cruise wedding celebrations begin today!